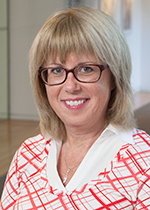 Assistant Professor Gwyneth Edwards (International Business) has received the 2015 honourable mention from the Administrative Science Association of Canada (ASAC), Organizational Theory division, for her paper entitled “Entrapment: The constraining nature of CEO narratives,” co-authored with Rick Molz (Concordia University). Their study shows how CEO narratives relate to strategic changes. The authors used a historical approach to study CEOs’ role and influence. Their analysis suggests that, in the face of significant strategic change, CEOs employ narrative to gain capital (social, financial and reputational) from their stakeholders and that when textual relationships between sources of narrative are strong (between types of narrative and over time), a dominant narrative emerges and constrains strategic choice. Professor Edwards holds a PhD and an MBA from Concordia University, and has taught at HEC Montréal since June 2013. She is a member of the research ethics committee and specializes in strategic management in an international context, strategic organizational practices, the strategy process and firm trajectory, as well as knowledge transfer in multinational firms. Note that she was chosen in July 2014 as a finalist for the Grigor McClelland Dissertation Award, a competition organized by the Journal of Management Studies and the Society for the Advancement of Management Studies, and received the Governor General’s Gold Academic Medal in June 2014. In addition, Professor Edwards received the 2014 honourable mention from the Canadian Journal of Administrative Sciences for her paper “MNE practice transfer as a process of institutional change,” also co-authored with Rick Molz.